The Highgate Wake House has been conceived as an amalgamation of various architectural interests. The Wake House can be described as three dwellings unified by an individual external lining. 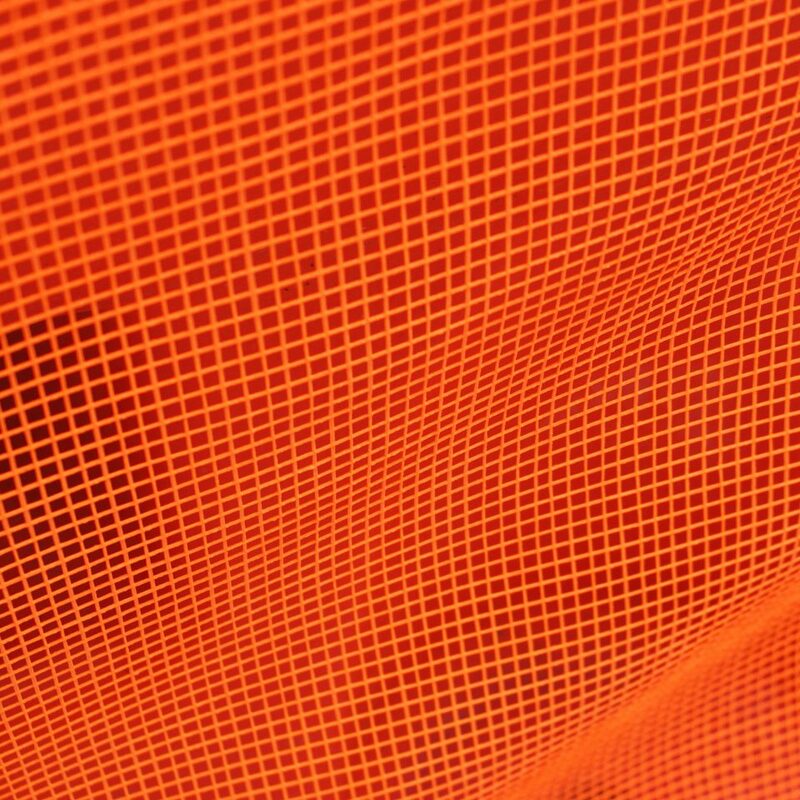 It’s material composition is of a modest nature. A timber stud frame springs from an excavated floor tray and is cloaked externally by a glass lining. A cavity of approximately 700mm exists between the internal area of the frame and the inner lining of the rooms. Rooms push and pull within the frame where appropriate and the lining is cut away within the cavity to allow for openings where the spatial consequence is implied and teased rather than revealed. 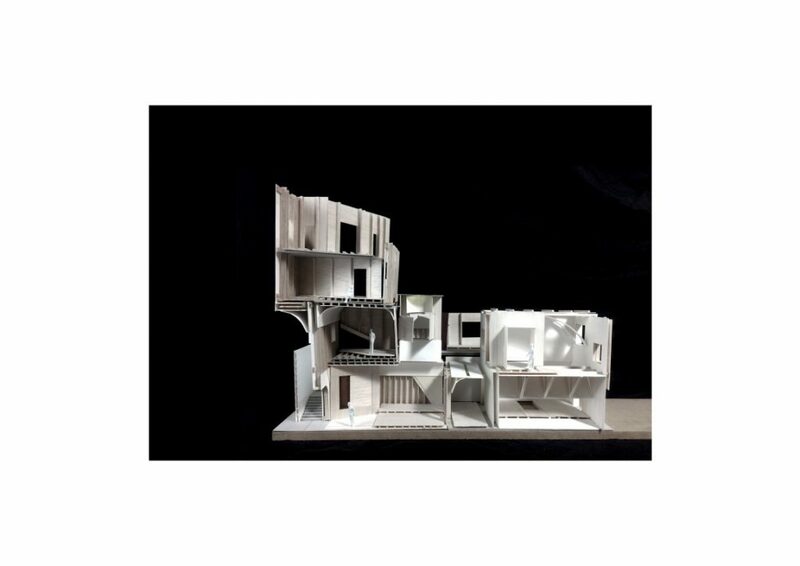 The impression of false thickness allows for a playful designation between front of house and back where ancillary and service spaces exist without lining. Ceremonial spaces are additionally lined with a coloured wall finish and support suspended ceilings where zenithal light is held and released at odd intervals. The notion of the house as a shell where by rooms flow in to one another contributes to the ambiguous nature of the architecture. Rooms blend together and occasionally flow in to one another. There is forever a visual relationship between anytwo adjacent rooms wether it be from an opening in a ceiling, a view beyond a window or the shadow cast upon a door way. The dwelling peaks above the existing terrace line and distances itself from meeting the street and its surroundings directly. It sits beyond a boundary within a boundary. A retaining perimeter wall sits within an existing composite stone wall structure. 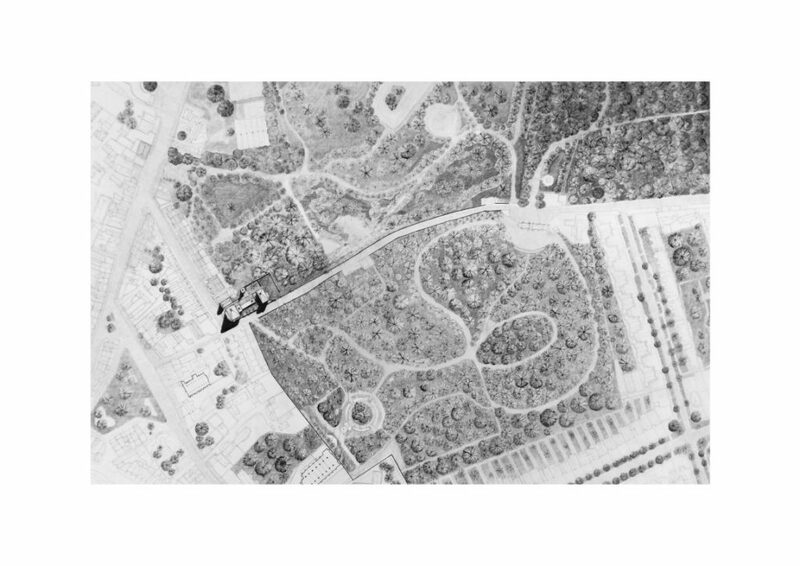 At specific moments there areviews of the park, cemetery and Londonskyline. At approximately 50m in length, the basement level meets the descending site gradient. This allows the dwelling to flow in to the existing landscape from the street above. A drop in four meters across 50 has remained a key parameter. The sporadic collection of rooms contribute to the omni-functional composition of a wake house. The rooms at ground floor and basement level are interconnected by what can be identified as a single sequential set piece ; the ceremony. In addition, day to day activity and dwelling occur throughout the year and arrangements can be made in person upon the death of a loved one. A sectional circuit allows the mourner to move through the house in reverse. The entrance and the exit are the same and book end what is considered an intermission period that occurs upon exiting the reposing room. The mourner will leave the house at basement level, enter a memorial garden, explore the park and visit the cemetery before returning up through the third dwelling where a celebration can occur in memoriam. 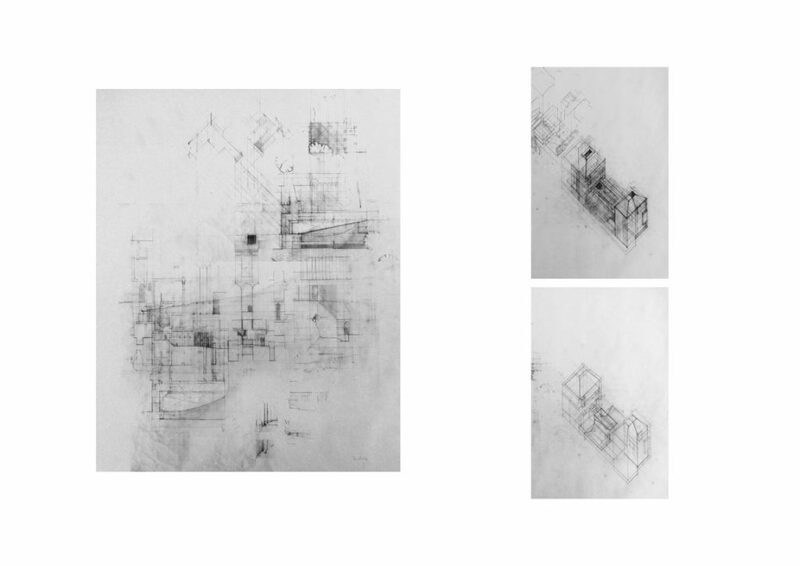 Composed with a 0.3mm lead on detail paper, the attached drawings are a series produced as part of a thesis proposal that explored the peculiarities of spatial ambiguity. 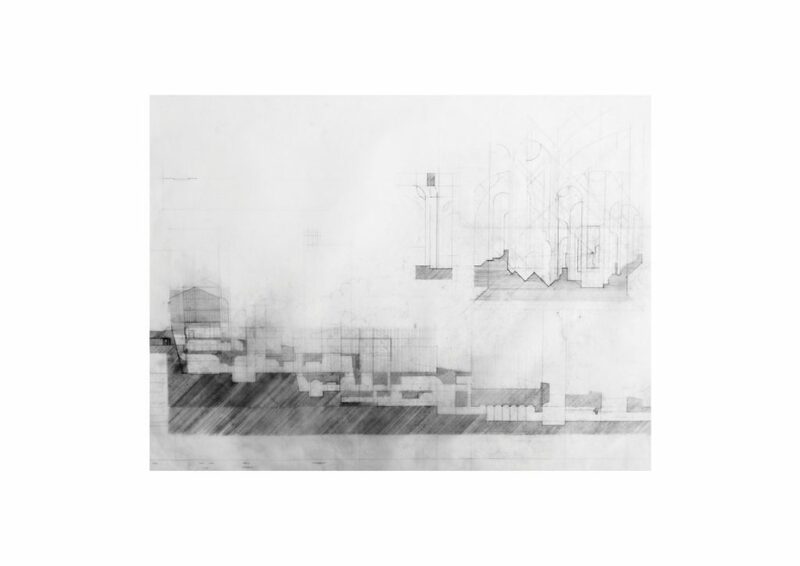 The drawings are composed of various spatial fragments where an architectural relationship is implied by the arrangement of the pieces within the drawing. A door way becomes a staircase, the hand rail becomes a stair, the stair becomes a surface and the surface becomes a ceiling that completes the room. 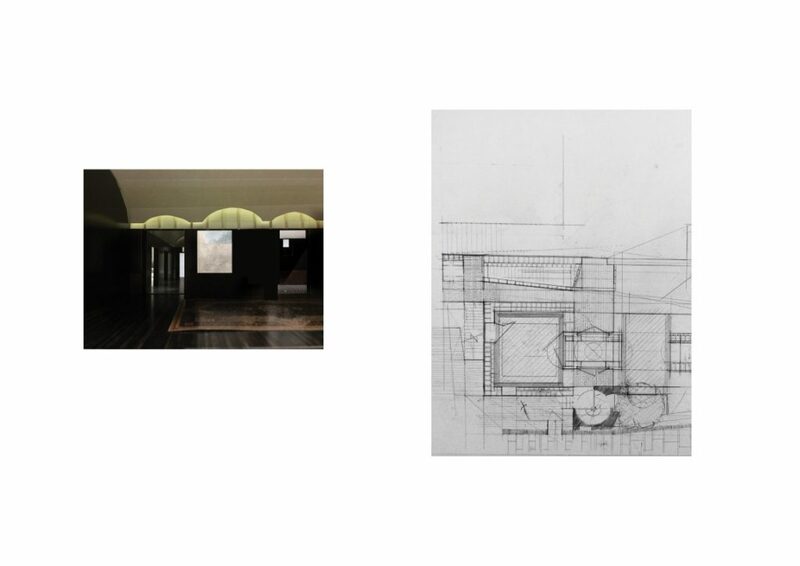 The holistic composition of space is always considered despite the fractured appearance of the drawings. 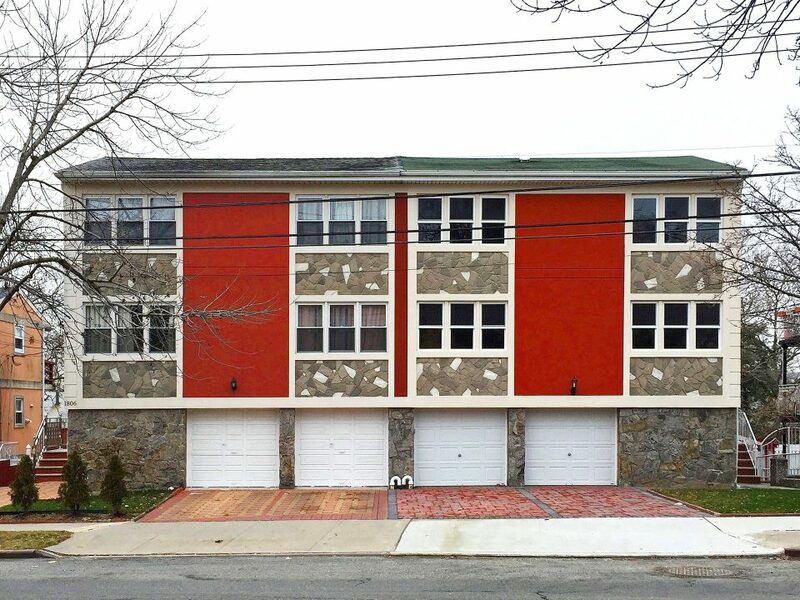 Part elevations blend with plans and perspective simultaneously and often collide with one another to form asection. 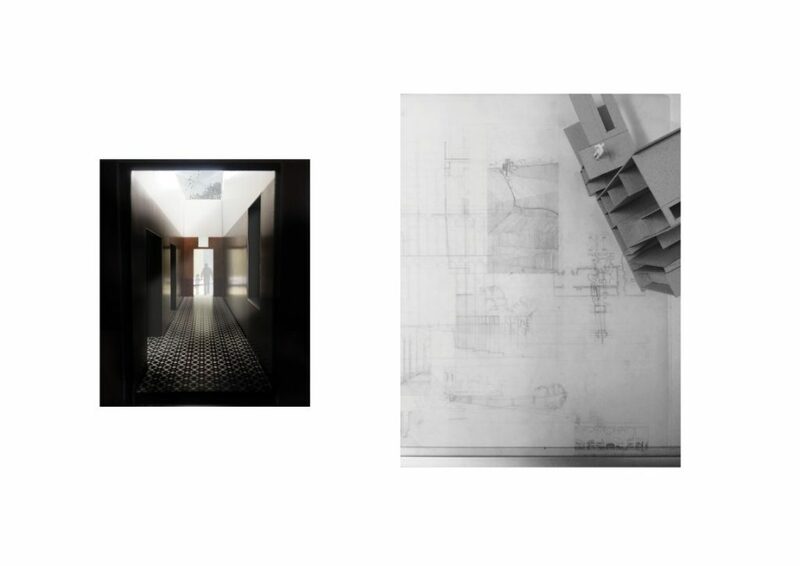 The consequence of this process is evident in later drawings where the considered blending of rooms begin to formulate the thesis as a single entity; the sum of many parts. 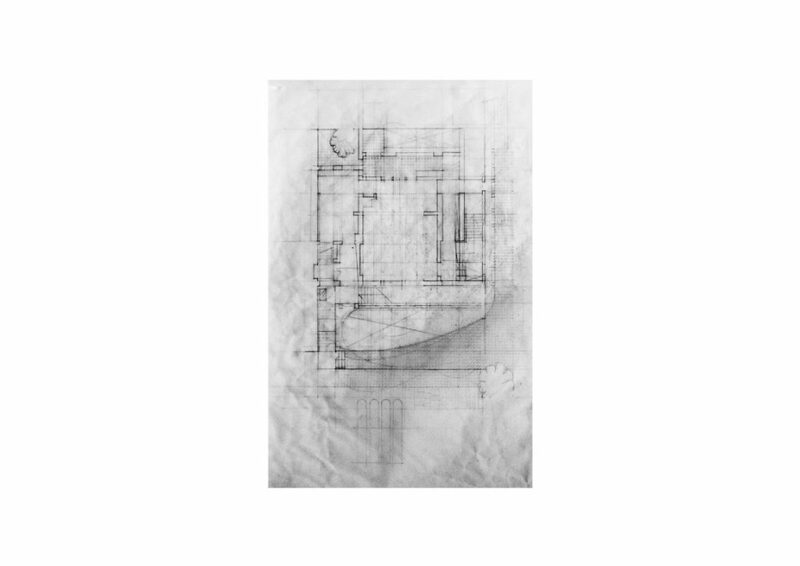 I am primarily influenced by the drawings of Carlo Scarpa, Frank Lloyd Wright and Peter Zumthor. 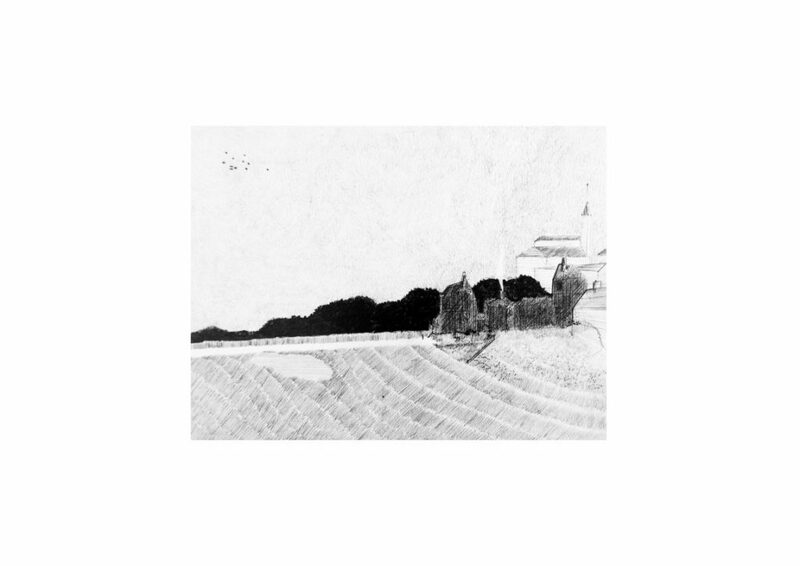 Particularly Scarpa’s working drawings for the Brion Family Cemetery, San Vito d’Altivole, Treviso, Italy. There is an annotative quality to the drawings. They are both beautiful and informative. Scarpa’s drawings are spatially suggestive and wonderfully manifest the nonlinear manner in which architecture can often be interpreted. The drawings appear to be in perpetual development. This method inspired me to work primarily in loose drawings during the early stages of the thesis. 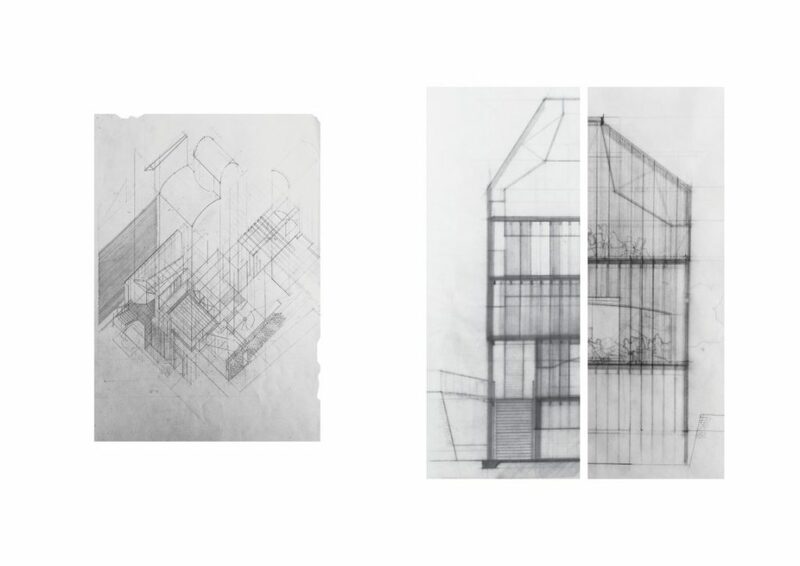 I also admire the drawings of Peter Salter, Nigel Peake, Enric Miralles and Perry Kulper. What defines the primary use of hand drawing in developing and project? How does this impact the way the project itself develops compared to computer aided software? I prefer to work in a medium that is tangible. I am a competent sketcher and whilst this enables me to develop ideas quickly, I depend on the physical scale of the architectural drawing itself to deter me from aimlessly wandering with a pencil for hours on end. Ideas need to be tested in scale. I prefer the act of hand drawing in that it enables me to demonstrate a degree of restraint. Within the given dimensions of a page I allow myself to test ideas. 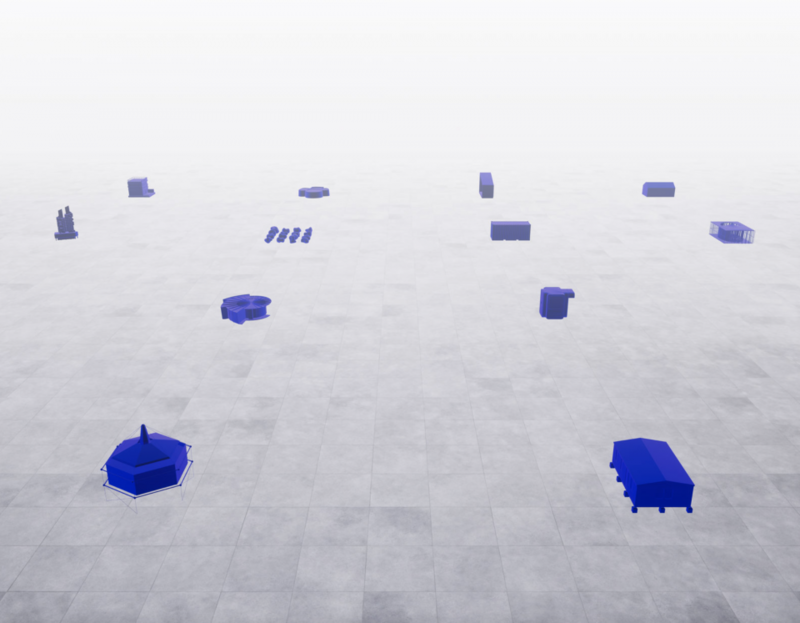 These ideas initially manifested as a composition of spatial fragments and in essence became the primer for this thesis investigation. The first drawings were composed with 0.3, 0.5 and 0.7 H leads on A1 detail paper. This method enabled me to blend various drawing types and compose multiple fragments in tandem. 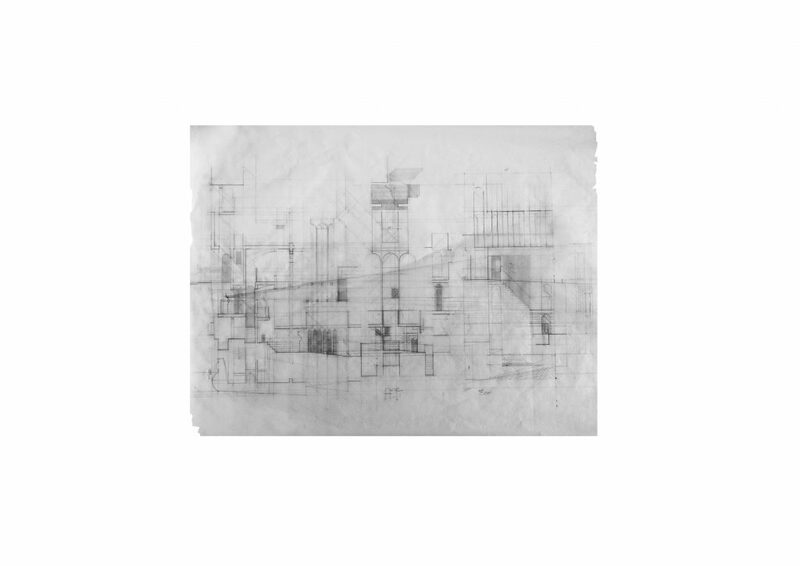 For example, In an early drawing; plan, elevation and section are interconnected by the merging of construction lines and perspective grids. 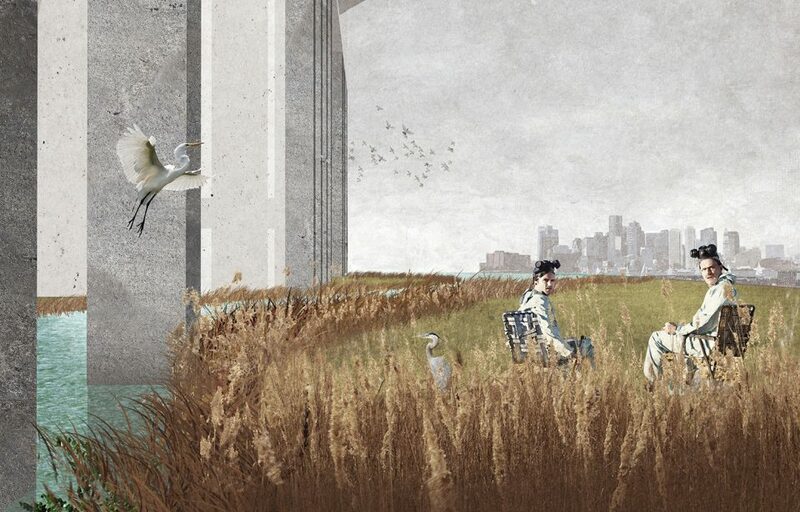 The intention was to explore the idea of prospect versus aspect within the confines of a single mixed use dwelling. 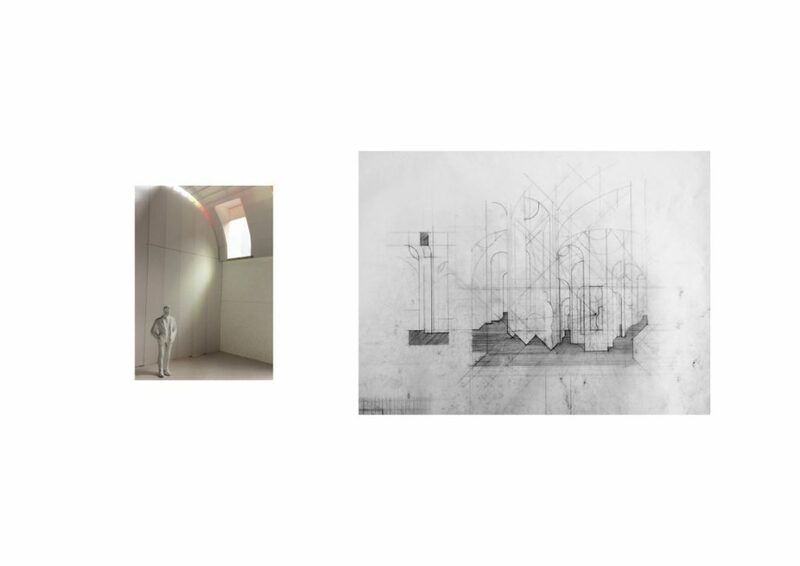 The project develops as a sequence of drawings each of which explores an architectural theme of particular interest. In contrast, I have experienced the struggle of attempting to resolve a design problem where infinite model space is at your disposal. The notion that Computer Aided Software should be used as a design tool rather than a method of representation has never sat well with me. Whilst I appreciate that traditional hand drawing has its limits, I never found CAD to be an appropriate method of communicating my intentions with this Thesis. What is the relationship between model and drawing? What lead you to explore the project through these two mediums? I enjoy working on multiple threads simultaneously. 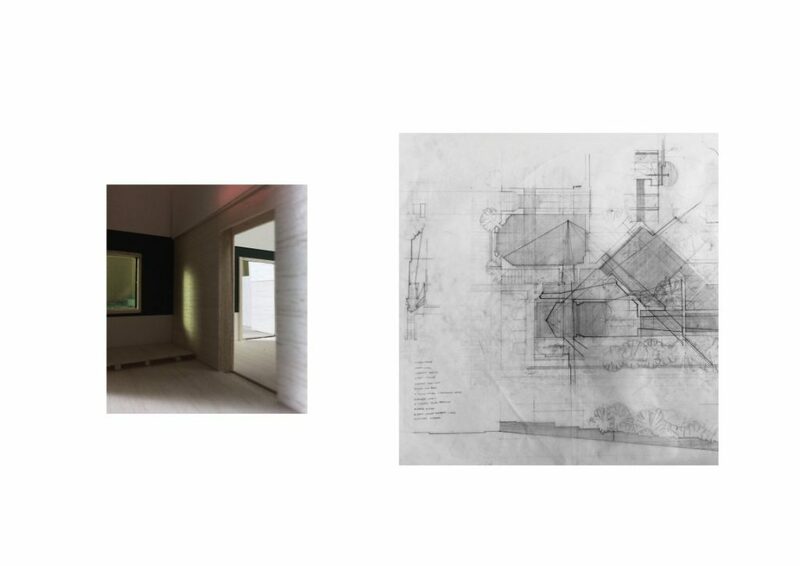 Whilst I would describe my drawings as “architectural” I am aware that they can be difficult to read and do not always communicate my intentions clearly. I often filter ideas through rough physical models. The models can often clarify the ambiguous condition of the drawings. They also enable me to commit to an idea, at least for the time required to build them. Early models were quite abstract and as the thesis developed I found that the some of the drawings were becoming more complex. The later models enabled me to communicate ideas and test the themes explored in some of the drawings. 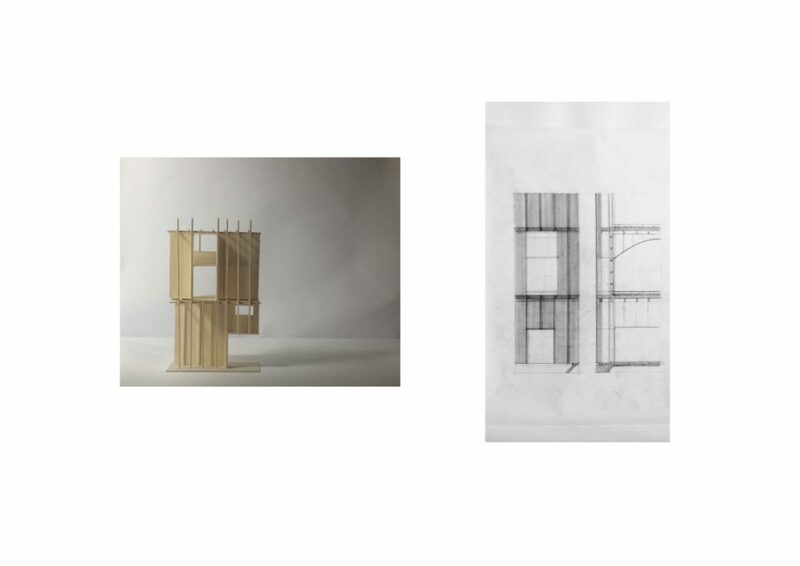 Both models and drawings were developed simultaneously as part of the thesis proposition. The models compliment the drawings in that they provide an alternative visual interpretation to whatever theme I am currently investigating. For example, colour, tone and ambience was a particular theme that I chose to explore primarily in model form. It would have felt cheap to explore such themes in drawings alone. What defined the diptych, hand drawing/model- what was the objective of this juxtaposition? I am interested in the notion that architecture can exist in its built state and in its drawn state. The diptych juxtaposition is an attempt to curate this notion. 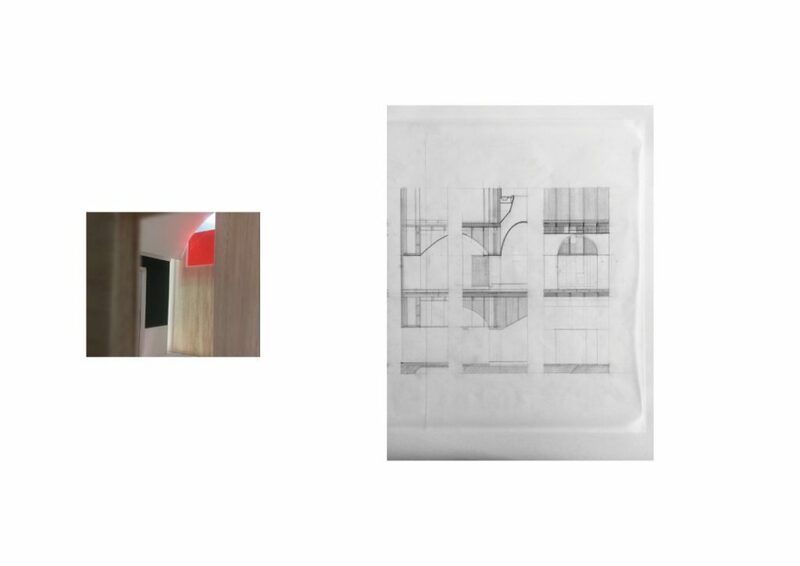 Whilst the models were developed in tandem with the drawings, the selection I have included best demonstrate the realisation of a spatial idea. I like to think that both images represent the same aspiration. Contemporary tools for post production can be applied modestly to preserve the quality of physical work. Such tools have enabled me to preserve my work beyond the Crit Bay. 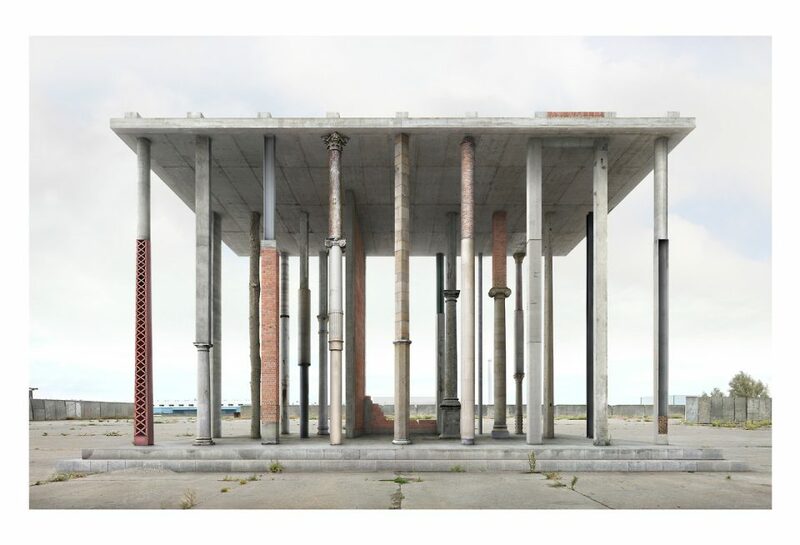 In the post digital age of architectural representation, contemporary techniques are often applied retro actively to physical work to preserve quality. The process can be described as cyclical and it can be difficult to decipher how an image, a drawing or a model was made. This is exciting and concerning. We have been seeing a number of contemporary interpretations on traditional mediums in architectural representation for a couple of years now. 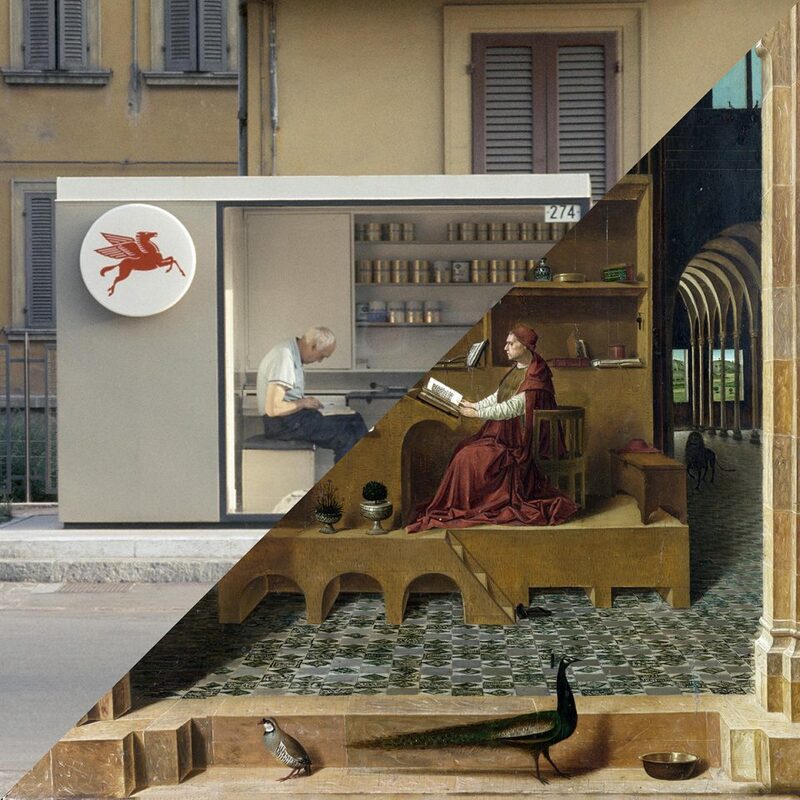 We have reached peak post digital with the re-emergence of painterly landscapes and architectural collage. Images that feel both new and familiar and are achieved through visual trickery and sleight of hand. The result is often beautiful yet I look forward to seeing if this technique can evolve. 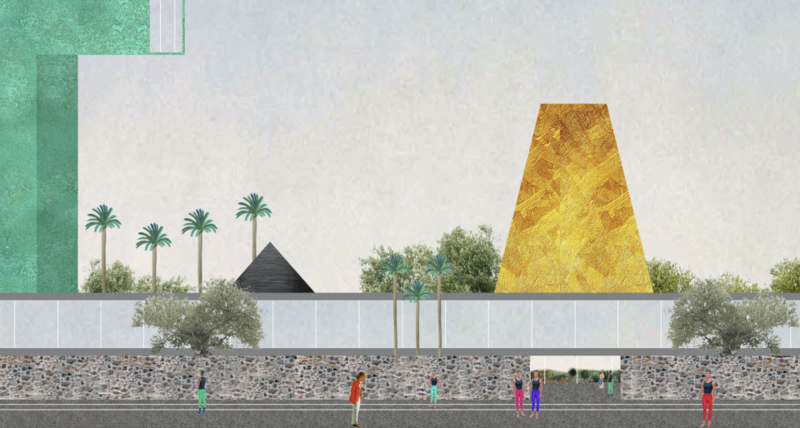 The pursuit of the “killer image” in architectural representation can often be a dishonest one. Contemporary tools should enable the designer to refine and adjust work where appropriate but an over dependence on digital tools can be problematic. This is a concern for me particularly with the over saturation of CGI’s that often equate digital aesthetics with architectural quality. In contrast, I think there will always be an appreciation for the traditional sketch in architectural representation. 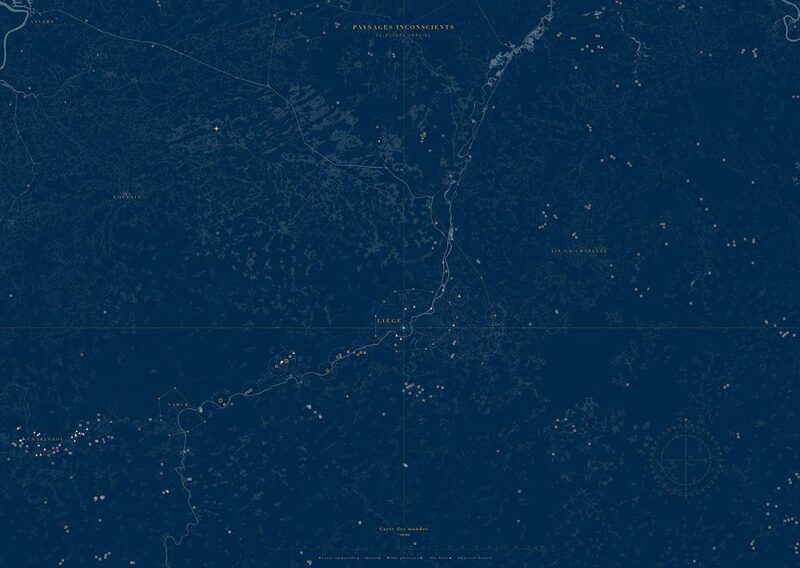 Architects and Designers require a tactile relationship with their work and I believe the romanticism associated with traditional methodologies in architectural representation can endure in a digital age.